The spirit of Christmas & fun of year end Holiday celebrations were embodied in the recent postings of the spontaneity of the singing of the Hallelujah Chorus in shopping malls & the Julie Andrews' song in Belgium that lightened people's hearts based on the overwhelming positive responses received - which was my intent in presenting them. I recommend to the many new subscribers to ReturnToExcellence.net to go to the "Classics" section on the left hand side of the blog for two previous favorite Christmas messages - A Contrast In Christmas Messages from December 22, 2007 & In Hoc Anno Domini from December 24, 2008. Long time subscribers should like the refresher. Below are three representative responses to Broadway Comes To Belgium from three very serious Americans each of whom make enormous contributions to our postings throughout the year. Responses like these put me in the Holiday spirit. I know this is popular because I have received several versions from so many people - here are two to help keep you in the Christmas spirit. The first - Accompanied by the Wanamaker Organ the Opera Company of Philadelphia spontaneously sung the Hallelujah Chorus from Handel's "Messiah" to the delight of surprised shoppers on October 30 @ Macy's in Center City Philadelphia. The second was on November 13 @ A Christmas Food Court Flash Mob. The above two links are celebratory. Carol can't replay them too many times & I hope you can't either - they are terrific. Let's close out this message with a different Christmas poem that shows who we should thank for ensuring & protecting all we have to celebrate - God's two great gifts to the world - his son Jesus Christ & America. Congratulations & thanks to a subscriber to ReturnToExcellence.net for writing & getting the letter below published in the popular NJ Courier-News (he would love to see responses from any of you which I will post). The subscriber has participated in numerous FairTax seminars & Tea Parties & in fact was the presenter of a FairTax seminar to a group of over 50 people. These type of things are perfect examples of what any of us could do if we were interested in contributing peacefully to the fight against the destructive statists who work round the clock taking away our liberties & way of life little by little each & every day until none are left. I just wish we had a whole lot more like him - don't you? Any soccer mom or hockey dad can tell you that spouses paying one another to cook and clean won't sustain their family. And for similar reasons, our nation's economy cannot be driven by the creation of minimum wage jobs with us serving one another hamburgers or selling one another Chinese made products. Money must come in from outside the home, state and country for us to sustain our way of life. 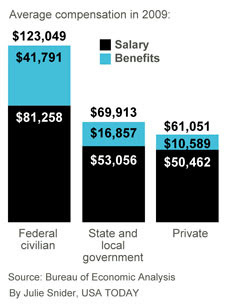 This is pretty basic stuff; however, apparently few elected State and Federal officials get it. 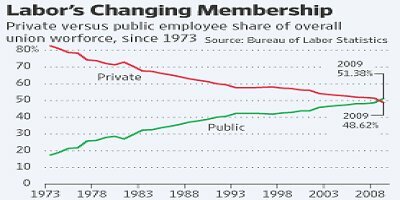 As the number and size of social programs grow, taxes will increase. And while the volumes of regulations continue to multiply, enabling even more abusive government control, the production of American made goods will decrease and even more national income will be lost. Increased taxes plus disappearing jobs is not a formula for recovery. The only question remaining is who will be left to pay for all of the social programs and bureaucracies? To improve our balance of trade we need to encourage the growth of American companies capable of producing and selling products to global markets. We must let our free enterprise system work as intended to create high paying jobs to fuel our recovery. 1 - Reduce all taxes and curb the government's obsession for control of every part of our lives. 2 - Reduce the amount of money sent to our enemies in the Middle East for crude oil and to our economic rivals in the Far East for the purchase of consumer goods. 3 - Stop sending aid to governments who "hate" America. Now is the time to protect our freedom and defend America for the benefit of future generations. Can the free world exist without America? The message two back of California's financial condition's relationship to the video of the Chinese professor saying in essence "we own you" continues to rouse interest as it should - "Excellent Doug, very interesting and disturbing at the same time. Keep up the good work. Hi Carol." "Disturbing" is the key word from the great majority of responses received. The subscriber wraps it up saying "the Golden State has much to offer, folks, but it is becoming increasingly difficult for it to overcome government mismanagement." This sentiment is applying more & more to far too many other states as well - better check yours out. Many of us may have had personal experience in the airports over the Thanksgiving holiday weekend with the Transportation Security Agency's (TSA) full body scan procedures or aggressive pat-downs either first hand (pun intended) or by friends or relatives who visited. The polls indicate that frequent flyers object more to these new procedures than less frequent flyers or non-flyers. Alert lovers of liberty will immediately recognize that this intrusion into our way of life is just one more liberty taken away or given up regardless of how often you personally fly so please be aware of what the real issue is. One woman told me "I just won't fly any more" as if that is an answer instead of a total capitulation. How pathetic a solution. The choice is presented to us as one of safety or of liberty & of course this is totally misleading because the real question to ask is why are We The People putting up with these airport intrusions if we are the mightiest nation on earth. To say we prefer safety thereby giving up liberty marks us as cowards while if we say we prefer liberty in the face of imminent danger marks us as lunatics. The libertarian approach is to eradicate the people causing the problem so that every law abiding person within America's borders can go about their lives freely as they see fit without having to make such a fools' choice. Many of you picked up on this point in a recent posting - "Our forefathers warned us of America's enemies - both foreign & domestic. America can't eradicate these enemies soon enough to suit me whenever & wherever we find them." The current TSA procedures are designed to protect airplanes not people in airports who could be blown to smithereens before they get to the scanning stations. The government is fighting the last war whether it is shoes, liquids, or underwear. What happens if al Qaeda's fascination turns from airplanes to trains or buses - do we check every passenger before boarding there also? TSA has hinted they are prepared to do this - are we? What about Little League games let alone stadiums filled with a hundred thousand people - will the lady who is prepared to give up flying also be ready to never see her grandson play Little League baseball again if bombs start exploding @ games across America? Does she ever stop capitulating? Do the rest of us? Now my eradication position comes with precedence. For instance Libya's Colonel Gaddafi, the longest serving of all current non-royal national leaders, voluntarily surrendered his weapons when he took America seriously after seeing our might on the Persian Gulf before the invasion of Iraq. When you grovel between the coward's choice of temporary safety & the lunatic's choice of essential liberty in the face of almost certain death you are about to get neither safety or liberty to paraphrase Dr. Franklin & you certainly will not get the same result we obtained with Colonel Gaddafi. This condition & type of choice is what happens when you don't fight or wage war to win against an enemy who despises us & is trying his hardest to end our way of life - our military personnel are in harm's way instructed by the government to fight blindfolded with one hand behind them - a complete & tremendous disservice to them that has now spilled over to the rest of us in the airports. But we should be heartened by this video of Congressman-elect Lt. Col Allen West speaking on the above subject exactly in line with my earlier point about eradication of our enemies. Please check the ReturnToExcellence.net posting of December 13, 2009 for the first posting on the blog featuring Lt. Col West - he is one who will stand up & work with us to return America to the excellence of our founding principles thereby ensuring the unconstitutional treatment in airports of innocent people is soon ended. Thanks to our marvelous Morristown Tea Party President Richard Luzzi for sending us the link for this slide show on screen heroes - it is a real Thanksgiving present. Please enjoy the TV Guide memories @ the beginning of the slide show but the real emphasis should be placed on the difference between the Hollywood "stars" of today to those when we were growing up. In fact Audie Murphy was a war hero & recipient of the Medal of Honor before I watched him as a movie star with my friends as a young boy on Saturday afternoons in the Alpha Theatre in Catonsville Maryland. Thanks to everyone who voted for the FairTax in the subject poll which was removed from Laura's website before some of you had the chance to participate. 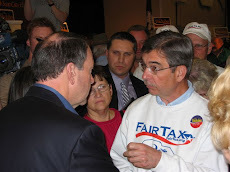 The last I saw the FairTax was ahead of the Flat Tax 57 to 40. If any one has other information please let me know. Over the past several years the only issue to even come close to the FairTax in these polls is term limits which of course the FairTax takes care of by eliminating the big & powerful jobs in Washington that make people want to go there for decades @ our expense in the first place. Three of the representative responses I received within minutes of last night's posting from people in three different states: "we both did it! ", "Done! The FairTax is still way ahead. ", & "This poll is certainly encouraging for the FairTax....but you are right when you say 'let's not be complacent.' I put my two cents in." All of the work we have done & are doing is cumulative. At times like this I realize more than ever how many people reading these messages were introduced to the FairTax by Carol & me & have become supporters. I thank you for your trust & promise that as we continue to work together for America to never let you down just as you have never let me down as witnessed by the overwhelming response to this poll. There's an insta-poll on the Laura Ingraham web site. Click on this link to vote. You may choose among FairTax, Flat Tax or Current System. The poll is about half way down the web page. The FairTax is out-polling the flat tax by 57-40 (3% prefer things just the way they are). But let's not be complacent. A good result from this poll can only help the FairTax - it takes but a minute to vote so please do. Thanks to everyone who commented on the subject message & video of the five year old girl who responded so well to her father's medical emergency - with the help of a trained & professional dispatcher. Below are three responses that sum up the feeling that Savannah's upbringing came through loud & clear & really saved the day & her father's life. Long time readers of this blog will readily recall that I have written for years of the all too prevalent "first generation of mismanaged children" - Savannah is certainly not one of them. Just watched this, it is precious. I laughed so much. Her complete control in what could have been total panic speaks volumes for her and her upbringing. Thanks for video. I was impressed that the 5 year old daughter spoke so well and was so calm. Thanks to a subscriber to ReturnToExcellence.net for sending along this link showing a very valuable life saving lesson taught by a well trained dispatcher & a loving five year old daughter who will only fully realize what she did years later. I hope the rest of us learn from this link to help save lives if & when a similar occasion arises in our own experience. Below is a letter from Congressman-elect Rob Woodall who won his election in GA 7th - the district currently represented by FairTax lead sponsor John Linder who is retiring @ the end of this Congress. 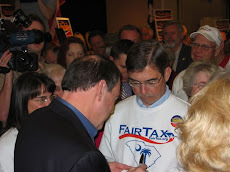 It is expected that Mr. Woodall will be the lead sponsor of HR-25, The FairTax Act of 2011, in the next Congress. I am honored that Carol & I supported Congressman-elect Woodall during his campaign - the letter below illustrates why. How a newly elected Congressman views the will of the people who elected him to represent them. Knowing the economic growth that the FairTax will bring to America, I am always pleased when one of America's major news outlets focuses on this legislation, as happens frequently. A recent Wall Street Journal editorial warning politicians against supporting the FairTax was no exception. While I certainly disagree with the editorial's conclusion, in the wake of Tuesday's midterm election results the WSJ's admonition is tremendously instructive to the new Republican majority set to lead the House. The WSJ concludes, "Our advice to candidates would be to avoid the FAIR tax [sic] and focus on goals that are more achievable and less politically self-destructive." We have a President in the White House and a leader in the Senate whose policies have been so thoroughly rejected that the party in power lost more seats in the House on November 2 than have been lost in any election since 1948, when Republicans suffered an even greater defeat. Despite this rejection of the direction of their leadership, the President and the Senate leader seem committed to continuing their course. The American people have a different plan. Having appeared at hundreds of events as a congressional candidate over the past seven months, I have never once had a voter ask me to "focus on the achievable"—those things that the President supports and will sign. Never once has a voter asked me to do what is politically prudent. Over and over again, voters have asked—nay, demanded—that I do what is right…that I be bold…that I speak the truth irrespective of the consequences. That is what the FairTax is all about. Would it be "easier" or "safer" to simply talk about tax reform generally rather than write down all of the specifics in a 131 page piece of legislation that is introduced in the House and Senate for all to read? Absolutely. It would be both easier and safer, but the American people deserve better, and the FairTax gives it to them. Would it be "easier" or "safer" to simply make some minor changes to the current income tax code rather than trying to abolish and replace it? Absolutely. It would be both easier and safer, but the American people deserve better, and the FairTax gives it to them. The payroll tax is the largest tax that 80% of Americans pay, but the FairTax is the only bill in Congress that is bold enough to take on that burden. American businesses face the highest corporate tax rates in the world and we are losing American jobs as a result, but the FairTax is the only bill in Congress bold enough to say that businesses don't pay taxes—only consumers do—and so in the name of transparency we should abolish corporate tax rates and be honest about how those taxes affect consumers. 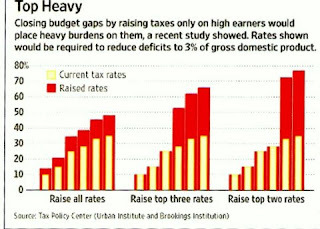 The WSJ recognizes the merits of the FairTax. "[A] consumption tax like the FAIR tax [sic] is preferable to an income tax," it says. "If we were designing a tax code from scratch, the FAIR tax would be one consumption tax option worth debating," it concludes. But not now, it advises. This is too soon, it warns. It is too hard, it cautions. I don't have all the answers but I have this one: not one voter in Georgia elected me to wait; not one voter in Georgia elected me to do what is easy. Shame on the WSJ for encouraging either. With our economy in shambles, our debt growing by trillions annually, and our faith in government at an all time low, we must act. If it was easy, it would have been done already. It is hard. If it was politically safe, it would have been done already. It requires risk. As I look at new Congressmen elected across this country on Tuesday I am filled with hope for our nation's future. These are men and women who will not wait, who will not be cautious, and who will gladly sacrifice themselves for a brighter future for our nation. I am proud to share those convictions, and I am committed to doing what must be done. Rob Woodall is the Congressman-elect for Georgia's 7th U.S. Congressional seat. Rob is the former Chief of Staff to retiring Congressman John Linder (R-GA-7) and is the co-author of the New York Times Bestseller, FairTax: the Truth. The FairTax is the most widely cosponsored fundamental tax reform bill in either the U.S. House or Senate.